Published Oct 3, 2014 by Peachpit Press. Part of the Learn by Video series. FileVault 2 is increasingly becoming the default encryption solution for enterprises that support Macs running OS X. There is not much documentation on this solution, however, and most of what is available focuses on the consumer market. 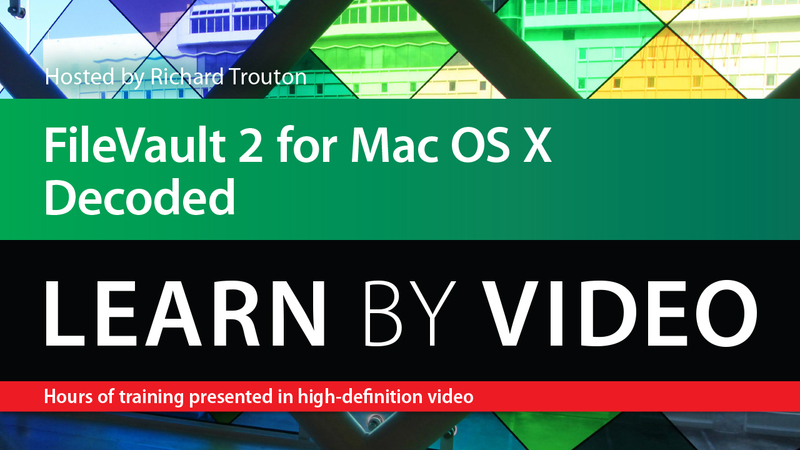 Here to guide the enterprise professional, popular presenter Richard Trouton gives a detailed, one-hour guide to FileVault 2. By the end of the video, you'll know how to set up FileVault 2 for your own use, build and deploy an institutional recovery key, and use the most commonly-used functions of Apple's fdesetup command line management tool.